What Supercar/Exotic Car Technology Should Be In Regular Cars? Automakers save up their best technology for their most expensive luxury models. This is horse crap. Us regular car buyers should not be deprived of the best car companies have to offer. This idea came from reader For Sweden, after we pointed out in our Bentley Continental GT Speed Convertible review that the massively luxurious Bentley shares its ZF 8-speed transmission with a Ram pickup, only with different digital tuning. 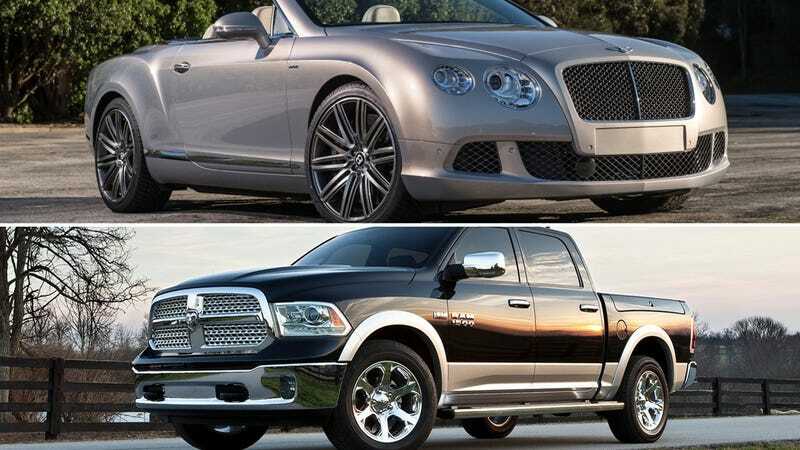 All I gleaned from this article is that I need to put Bentley transmission software in a Ram truck. Chrysler, how much could it cost to offer some software as an option? You just don’t think we’re worth it. Well, we are. We certainly are. So what other technology or equipment, from engines, to chassis, to software is available in the most expensive super- and exotic cars that belongs in more pedestrian offerings?